Once again we have come to that time where we look over the past year’s offerings and compile a list of what I felt were my favorite series that aired. Perhaps doing so could be the beginning for others to think about the same thing and/or catalyst some discussion as well! The result you will see below. On the whole, 2016 was for me a bit stronger than the previous year in anime overall, and happily it continued with strong adaptations from manga source materials. Another pleasant surprise was to see the increase of short anime series that were often quite good to REALLY good – of course on this front I am probably guilty of some bias, because I am one of those anime viewers who actively seeks out and checks on short anime format series. Please do note that first and foremost these series are primarily a list of what I enjoyed the most. They reflect my taste more than anything else, and while visual or audial or storywriting or acting based comments or such have a place in it they are not intended to be an “objective evaluation” of the elements that make up the art medium itself. I am not an “art critic” nor a “specialist”, nor should readers expect such highly trained or cultivated viewpoints from me. I am a fan writing to other fans and sharing my experiences and tastes first and foremost. Anyway – on to the listings! 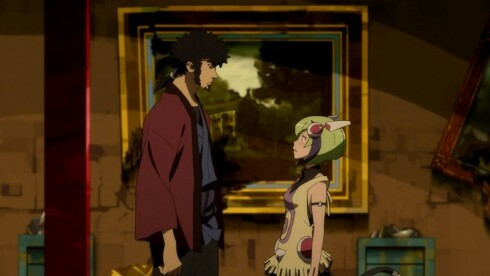 10) Dimension W (Winter): This entry may surprise some, but remember that this is a listing of series I enjoyed first and foremost, and I really did enjoy the Dimension W adaptation, eagerly anticipating it week after week. I had followed the manga for a little while before it aired, and while there were some liberties taken with the adaptation (I would be surprised if we ever got a second season) I quickly came to love the main character duo of Kyouma and Mira and to be invested in what was going on onscreen – a lot more than I expected to before the season began. This year Studio 3hz did quite well between this manga adaptation and their anime original work of Flip Flappers, and continue to look forward to more of their work! 9) Natsume’s Book of Friends S5 (Fall): The fifth season of the Natsume Yuujinchou franchise was a worthy companion of the first four seasons in my opinion, and if that isn’t high praise I don’t know what is! There are few series so able to convey (both in the anime adaptation as well as the source manga) that curious elusive aspect of beauty that is so often found in certain works and styles of Japanese art and is almost uniquely present in this medium in this work. 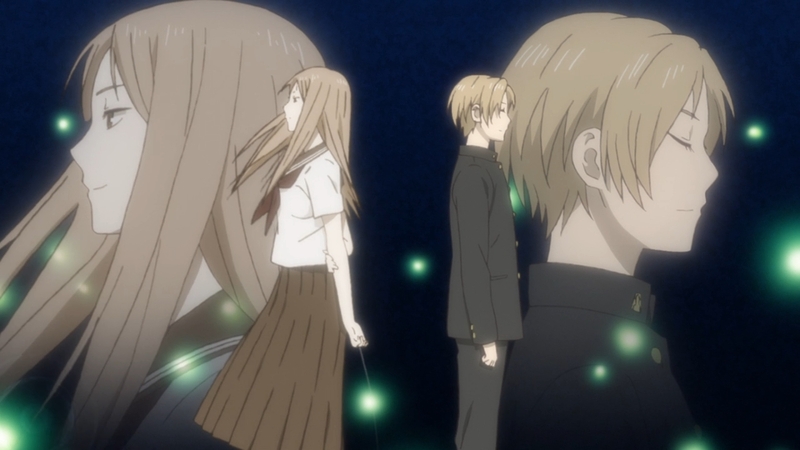 The quality may have taken a teensy dip this season, but the content was as strong and moving as ever, and with a sixth season coming next year it is encouraging to know that there is still more of Natsume’s life and experiences to explore! 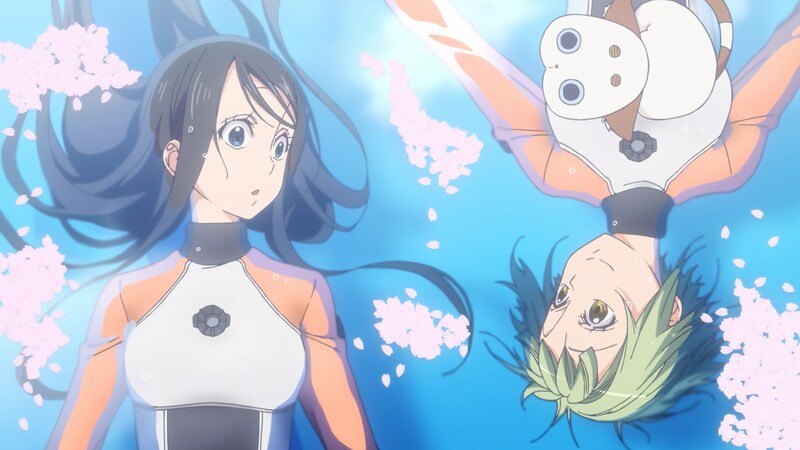 8) Amanchu! (Summer): As a long time follower of the source manga and a huge fan of the Kozue Amano’s style of storytelling and art style this was my most anticipated series of the Summer 2016 season and it absolutely did not disappoint. In many ways it was interesting (even fascinating in a way) to see how this series was adapted to the anime medium (with the same director at the helm as the Aria series had – another of the mangaka’s works) and when all laced through with another absolutely beautiful OST (and OP!) and animation effort at the hands of J.C. Staff studio the result was pleasing on almost every single front. Hopefully this series will have future seasons as well, as there is still quite a bit of material to draw from. 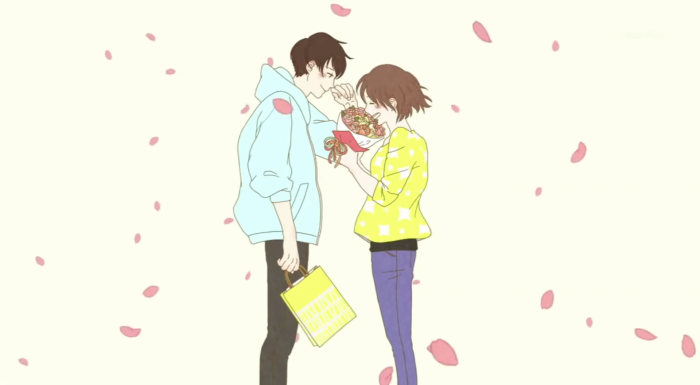 7) Udon no Kuni no Kiniro Kemari (Fall): Without a doubt the height of the “individualistic and creative” Fall 2016 season for me, this one cour series packed a lot of punch into a tiny package. 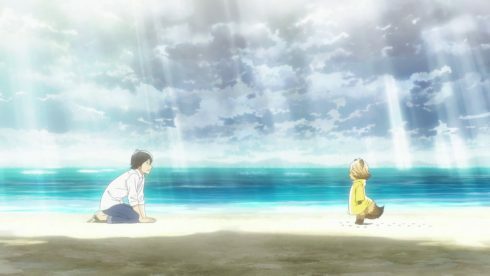 The portrayal of the relationship and the healing process of the Tawara siblings in their processing their grief after the death of their father was almost amazingly accurate. It was beautiful and even … delicate. 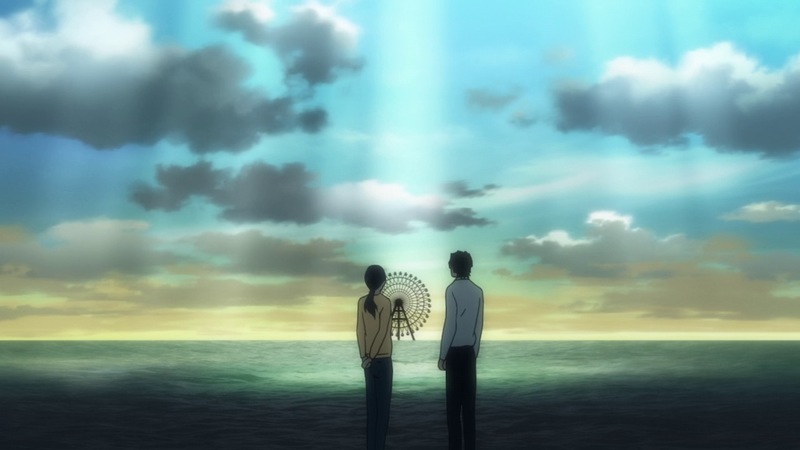 But it was delicate in a different way than Natsume Go, even though both series utilize aspects of the “supernatural” … perhaps in expressing aspects of life experience in a more “human” way, rather like a simple everyday, home-spun loveliness rather than that elusive, ephemeral and meditative quality the Natsume franchise is able to portray. 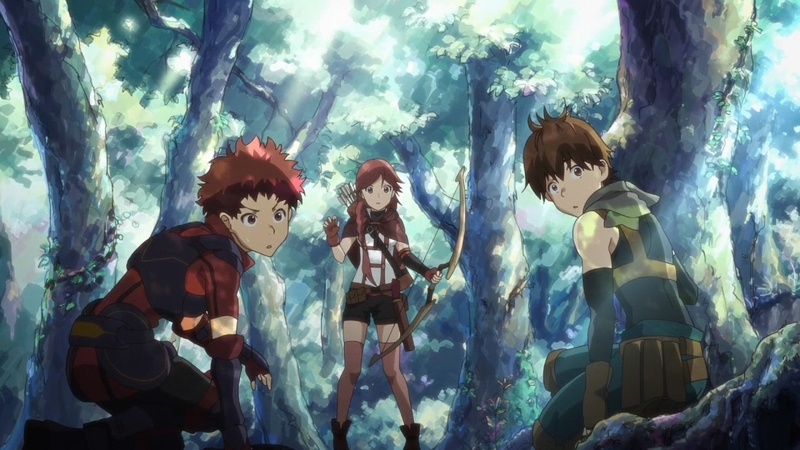 6) Hai to Sensou to Grimgar (Winter): This series was definitely one of the biggest surprises for me from what was an unusually strong Winter season for me … but also a surprise in ways I did not expect. Not only was the art style downright incredible, but the characters and their struggles (once again, particularly in the struggle of coping with grief) was extremely “real” and unexpectedly authentic. The slow, leisurely pace of the series combined with it’s “working from the ground up” elements all had my jaw dropping week in and week out. No doubt part of my love of the series was how it seemed (almost eerily) “ready made” for a person like me who enjoyed that style of tabletop rpg gaming back in the day, but so it was. I loved this series! 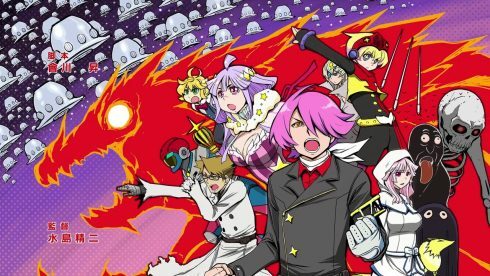 4) Concrete Revolutio (Spring): How in the world can I even begin to describe and summarize this brilliant, this bold, this grandiose and even awe-inspiring work of raw creativity?! This series had lots to say, said it in many different ways and angles, was consistently shot through with incredible story writing and character development and when all was said and done was both ambitious and downright profound. I wonder if I have ever seen another anime as “large” as this one! And while I am absolutely not surprised that it got so little attention as it did when it was airing, I am immensely glad that such things are able to be produced this day with such a respect for the intelligence of its viewers without ever coming across as condescending or soapboxing. 3) Fune wo Amu (Fall): In many ways I was surprised to see this story get an anime adaptation. It is so, so, so “outside the box”! 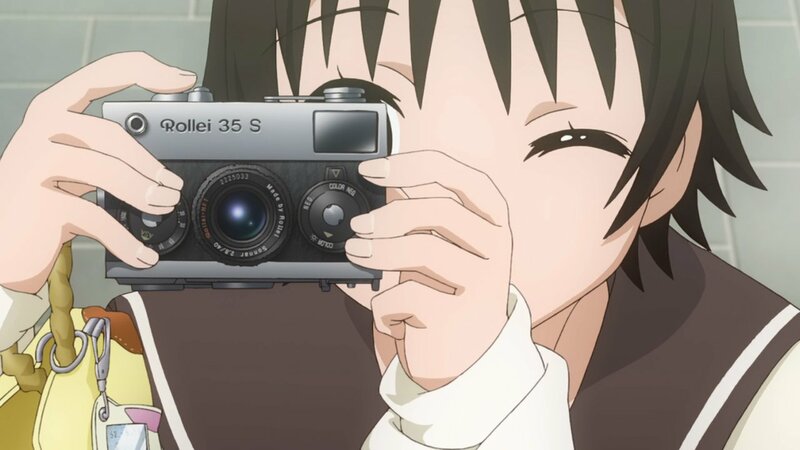 But in retrospect I am glad it did, because it was probably the most powerful series of the Fall season for me, saying and portraying things that I have not seen done in anime since … I can’t even remember. More than anything else this series excelled in portraying the dignity and even nobility of the “common man”, showing us the positive points of humanity in a way and manner not utilized often in recent years (there were artists in the past from various countries who did so). Above all one feels the respect and ennobling quality of the love the anime staff had for the characters. Such a thing is rare and invaluable these days! After the pattern of last year, the numbers three and four slots are very likely for me what I consider to be the best anime of the year in terms of approaching some kind of “semi-objective evaluation”. Maybe one could also say they were what I felt to be the most “important” or the most “significant” series that aired. However, they were not the ones I loved the most. To that category belong the last two series in the top ten – series that I eagerly anticipated on a weekly basis, sometimes even counting the days before the next episode came out. It helps that they are both masterful adaptations of a source manga that I love (and still follow), of course, but there are few things more satisfying than seeing an art form you love get an adaptation into another art form with a respectful and inspired hand that even helps to enrich the franchise as a whole. This is definitely the case with these top two picks in my opinion. 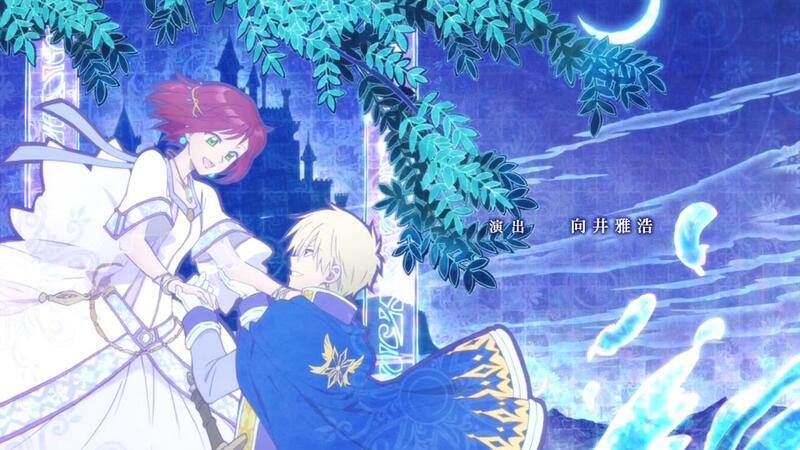 2) Akagami no Shirayuki-hime (Winter): What we have here is simply one of the loveliest portrayals of two very human yet very endearing people who seemed to be made for each other. Every single aspect of it from the art style to the OST was well done in my book, and having been a huge fan of the (still ongoing) manga I loved and treasured each minute of each episode of this series as it aired. Both Shirayuki, Zen, and the entire cast all became even more endearing to me as the series went on, and everything about it enriched and already fruitful and delicious garden the source had been cultivating in me over the years. Really excellent and truly satisfying work for me. The Aria the Avvenire OVAs just missed making it into the Top Ten listings. I should also add some series that for me qualified for the Honorable Mentions category, of which there are quite a few this year: New Game!, the Planetarian OVAs (which I did not include in the top ten because I did not feel that the series was finished as a whole – when the movie airs it will be “finished” I feel), Shouwa Genroku Rakugo Shinjuu, Ushio to Tora, Flip Flappers, Mob Psycho 100, Dagashi Kashi, Shounen Maid, Show by Rock s2, Girlish Number, Honobono Log (my favorite shorts series of the year and a screenshot from which is gracing the header image of this post) and Kono Bujitsubu. And just looking over this list one can see the good number of downright superb manga adaptations (6 of 10 of them) – and good not only in the sense of being faithful to the source material, but at times improving on the source material itself and making it more “attractive”. 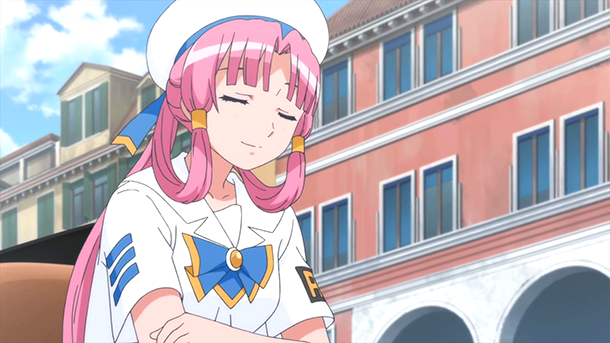 (Oh, and a special nod goes to the Aria the Avvenire OVAs!) 2016 was indeed a fairly strong year in producing good series, in my opinion. I don’t really have many “favorite” ongoing series at the moment (meaning carryovers from the previous season or known split cour series) interestingly, so I won’t touch on those. But I did have disappointments. The biggest disappointments of the year include Kuma Miko and Mayoiga, both of which aired in Spring. They deserve their own special “ARRGGGHHHH!!!! 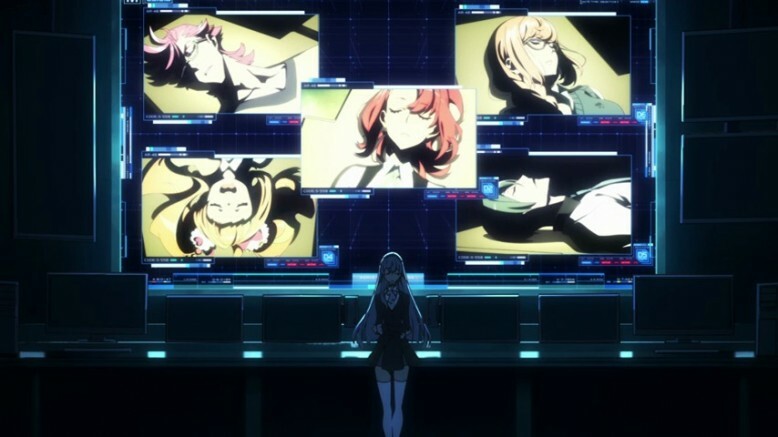 !” category as far as I am concerned, all the more frustrating because I was looking forward to Mayoiga before the season began (and instead got … what it was) and because Kuma Miko started with some promise and went down a route it really did not need to and which even the mangaka disagreed with as did most of the viewers in most countries. And don’t try to “explain away” how profound or “true” to the mangaka’s angle it was. Bullfeathers. The staff messed up … and messed up big time. And the ruined a series that could easily have been more enjoyable AND more financially profitable. The Kiznaiver OP really was quite excellent, I thought! Will add an extra section here of a few more categories that might provoke some discussion: some of my Favorite OPs: Amanchu; Kiznaiver and Dimension W. Some of my Favorite EDs: Flip Flappers; Honobono Log and Concrete Revolutio pt 1. My list of Best Male Leads: Natsume (Natsume’s Book of Friends s5), “The Junker” (Planetarian OVAs) and Kyouma (Dimension W); some of my list of Best Female Leads go to Shirayuki (Akagami no Shirayuki-hime); Mira (Dimension W) and Cyan (Show by Rock s2); finally some of my votes for Best Supporting Roles go to: Izana (Akagami no Shirayuki-hime), Satou (Ajin) and that of Hakumen no Mono (Ushio to Tora). 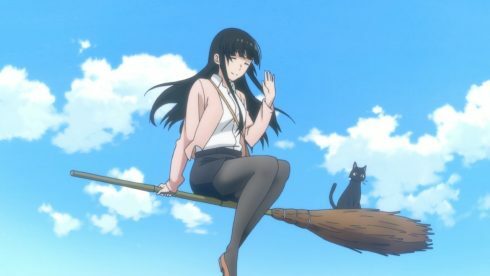 On the matter of some aspects of the anime production itself, my votes for Best Animation go to: Tales of Zestiria the X, Flip Flappers and Hai to Gensou to Grimgar; while my votes for Best Soundtrack goes to: Flying Witch, Amanchu and the Planetarian OVAs. And there we have it! Looking over the past year it general it looks like Winter of last year was probably the strongest season for me – it had the highest number of great and strong series yes, but it was curiously top heavy. In some ways Summer was exhausting – there were way too many solid series that, while not all top notch, were numerous and engaging. Spring was the biggest disappointment of the year for me, which is odd in one way, seeing as it had the #1 and #4 series airing at the same time. Autumn was possibly the most “creative”. Please feel free to add your own lists in the comments section below. See you all in the Winter 2017 season!